As a lover of architecture and art history, I am entranced by vintage stained glass. Whether it's the majestic rose of a Gothic church or a wee transom in a modest Victorian rowhouse, I think antique stained glass windows are enchantingly elegant. 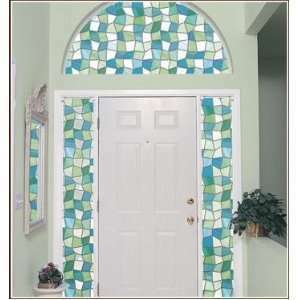 However, I don't think this way about modern faux stained glass that is a film you attach to your windows. Now I understand I'm treading into taste-specific territory, and my intention is not criticize the aesthetics of these windows. My frustration stems on why, in contemporary culture, do we produce items lacking in artistry, detail and refinement like the stained glass windows of yore? Why are we complicit purchasing watered-down versions of what we truly cherish and love? Do we lack creativity? Are we just cheap? Herein lies my opportunity to segue into today's official real estate rant. 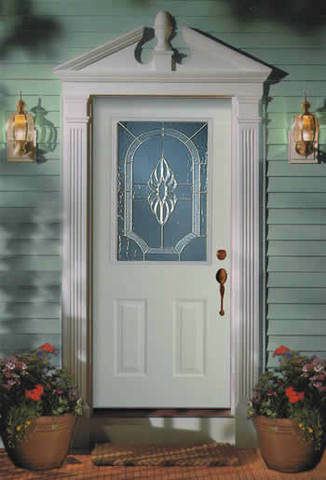 It's this... the combination steel glass exterior door. 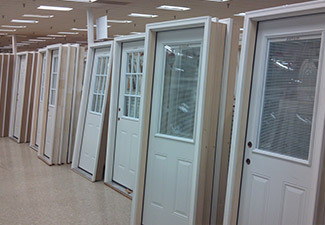 I get the argument that a steel door provides a heightened sense of security, provides longevity and lower maintenance. But how did we evolve into a culture that is mass-producing multiple versions of hideousness? When it comes to first impressions and curb appeal, I can always tell a Flipper's House by the presence of one of these doors. Like the rest of the materials I'll inevitably see once I cross the threshold, these renovators did their one-stop shopping at a Big Box Store and picked up all sorts of atrocities. Given the Flipper's frequent lack of taste and decency, these doors often lack even a lick of paint. Instead they showcase the door's pressed-metal flat grey finish with inset plastic frame holding some 'bejewelled' pressed-glass pattern that simultaneously assaults the eyes while disrespecting the property's original architectural merit. I call this cringe-worthy. If you have a door like this, please fill in the screw holes, paint the frame and trim satin black, add a simple quality handle, and place an enormous topiary tree beside it to distract the eye. For a few bucks and a couple of hours of your time, it will make the best of a bad situation.